A rare opportunity to own this exceptional 25 acre parcel of land in the heart of the East Point Peninsula. A short walk to Shell Beach for swimming and East Point Lighthouse Park. Dreaming of starting your own farm? 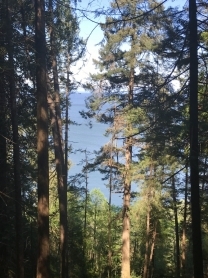 Listen to the ocean from this gently sloping treed lot with a well close to Russell Reef and Winter Cove Park. Bright treed lot close to Russell Reef and the 189 acre Winter Cove Park. Perfect for hobby farm. 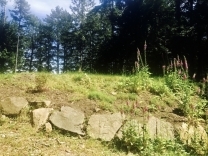 Ocean view potential on a lovely treed lot close to Russell Reef and Winter Cove Park. You can hear the ocean from the east side of the lot! At the top, a fantastic west facing view of sparkling waters of Navy Channel and Mayne Island. A must see! 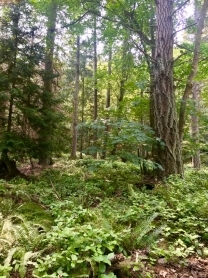 This beautiful and private 1.25 acre lot with tree-top glimpses towards the Coastal Mountains and dappled sunlight streaming through mature natural forest is a rare gem. Perfect builing lot close to the ferry dock and all the amenities. Peaceful and natural space! 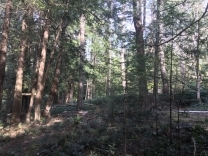 This 0.35 acre lot is richly treed old forest with tall canopy and minimal underbrush. Share Purchase opportunity on 300 acre co-operative land.